One day ahead of the protest rally of workers of Bulgarian tobacco manufacturer Bulgartabac, Bivol’s editorial office received information on employees from the company’s factory in the city of Blagoevgrad preparing to stage a march in the capital Sofia on December 6. Employees of the holding, whose ownership remains unknown, but it is believed that it belongs to controversial businessman, media mogul and lawmaker, Delyan Peevski, had been “prompted” to protest via a circular disseminated among them and which Bivol has seen. It contains “talking points” such as “malicious media and political attack” against Bulgartabac, organized by the political party “Yes Bulgaria” and Ivo Prokopiev, publisher of the critical of Peevski dailies Dnevnik and Capital. So far, several protests have been staged by laid-off workers from the Bulgartabac factory in Sofia, which closed doors after the holding announced that it would cease exports to the Middle East due to reputational problems after revelations of its massive smuggling of cigarettes to Iraq and Turkey. 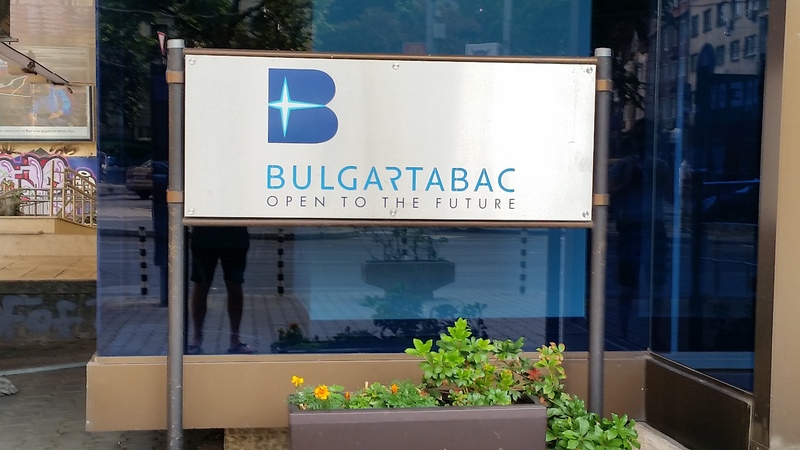 The former workers urged the government to tell them #WHO is the owner of Bulgartabac that threw them out on the street but were greeted with silence and were ignored by mainstream media. The reason for this counter-protest is obviously the insistent recent questions by “Yes Bulgaria” and Dnevnik and Capital to Prosecutor General Sotir Tsatsarov and the Interior Ministry to find out what would be the reaction of Bulgarian institutions to the official report of the Turkish anti-organized crime police unit KOM, which claims that the company Bulgartabac operating in Bulgaria is “becoming the source of cigarette smuggling in our country”. Interior Minister Valentin Radev and the Prosecutor General keep pretending that these scandalous data do not affect the Bulgarian side, although the Turkish authorities clearly identify several international law enforcement organizations to which they have sent a report on the smuggling of Bulgarian cigarettes: Interpol, the Southeastern European Law Enforcement Center (SELEC) and the British anti-smuggling services. The KOM report for 2014 also claimed that Bulgarian production is flooding the contraband cigarette market in Turkey, but Bulgartabac’s name was not mentioned officially. On the other hand, publications in close to the government Turkish media did not spare that information. It was also announced that Delyan Peevsky and Ahmed Dogan, (Honorary Lifetime Chairman of Peevski’s party Movement for Rights and Freedom, largely representing Bulgarian Muslims – editor’s note) have been declared “persona non grata” in Turkey. Bivol has been investigating for several years now Bulgartabac’s cigarette smuggling channels to the Middle East, which existed even when Bulgartabac was state-owned, before its privatization. A key figure in these channels is the Iraqi Salam Quadir (or Quader) Faraj AKA Farouk or “Mullah Salam”. The problem is that Bulgartabac does not want to trade with official representatives but rather prefers smugglers such as Farouk. Thus, this significant Bulgarian company is sinking deeper and deeper in the shadowy economy and it becoming more and more doomed. Bulgarian Prime Minister Boyko Borisov has been repeatedly informed of these criminal acts, but has not reacted in any way.